I have been an avid user of Evernote since 2010 and a premium subscriber since 2013. Please do not take me otherwise, I love Evernote almost to the point of addiction. After collecting more than 100,000 notes of Internal Medicine through a period pf 10 years [Close to 32 GB of notes], looking for an alternative is quite disheartening. I was looking for alternatives to Evernote for the last 10 days.. but even considering the slow performance of Evernote at times, Delay in syncing, No Dark theme for windows and non-availability of a Linux version [ I still remember, I requested for a Linux version first time in 2013, several times thereafter], there are not many applications that offer the robust features Evernote has. In the last 10 days, I tried almost all the evernote alternatives mentioned in Alternative.to site. Yes we have onenote, i feel much comfortable with the Evernote interface. From today, I started using Wiznote. Initial impression is quite satisfying. * Import feature was actually quite fast. I imported HTML files from Evernote and Google Keep, and the process was fast. Another option Wiznote has while importing is 'Combine' feature that allows several HTML files to be combined in one note. It also allowed importing doc and PDF files. Doc files were actually stripped down to actual notes. *I need to tinker with Wiznote a little more to test other features, specially the advanced search. So far i am quite satisfied to get some alternatives.. that are close to evernote and offers some features that have been overlooked/neglected by Evernote for years. I have no problem selecting an external editor to replace the basic features of the Evernote editor/format. For note taking, I use Notability on my iPad. For serious work, I use Word/Pages and Excel/Numbers. The documents are stored in an Evernote note as an attachment. A bigger concern is replacing the filing features supported by Evernote. Hi @DTLow, thanks for your comment. If you are looking for storing notes, emails etc .. I played with the web app of wiznote for a little bit .. similar to Evernote, it also provides an email address which can be used to store your mail on their server. Tested it..it is working well. As previously mentioned.. one point that may be considered negative by many is the server location of Wiznote [ China ]. I don't mind this as i store only medical notes online. Just found out, the server location of Wiznote can be changed.. though there are only three options Mainland China, Hong Kong and Russia. I am looking for ways to integrate Google drive, Drop box, one drive. Standard Notes does have huge prospect [ specially the Premium version ] ... but at this moment it is a 'Text Only' editor. May be in near future we can see some major developments .. being open source, standard notes has gathered huge interest and many are contributing to it's development. Let's see how it goes, will keep an watch. So only one remaining among aforementioned three is Wiznotes ... may give Joplin a try. Today i tried to create a 'call to action' with the click.to software that could have enabled me to paste all the copied texts, images, screenshots to Wiznote [Similar to the function I use for Evernote] ... but failed so far ..due to lack of documentation and the forum being in Chinese. You should be posting these notes elsewhere. I thought a comparison of the Evernote alternatives, may help other users like me. We all are aware of the problems with Evernote, just wanted to find if there is a comparable Note taking application. I do not think I crossed my limits. Anyways no hard feelings, Will be posting on Reddit from now on. Are you trusting a chinese company to take good care of your data? In the first post, I did mention that as a concern. Essentially i use Evernote for storing and studying Medical notes. So the server being located at China is not much of a concern for me. So the server being located at China is not much of a concern for me. I have minimized the risk of compromise or losing data. However, using Evernote only my sensitive data is encrypted. I'd prefer full encryption. Even with Evernote, 99% of my notes are offline, few are synced ..if i need to study them when i am at work. For sensitive data..better to keep them offline..whether server is located in China, Russia or the US. 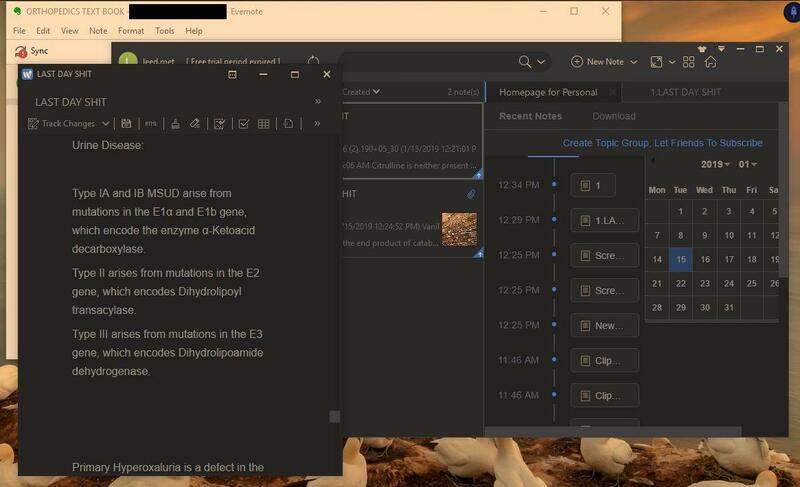 Thanks for your post, since it reveals good alternatives to Evernote for Linux. I'm a Linux user myself and have been struggling with the EN web version for years. I had to install Chrome to have full new interface for the web version, and everytime I need a reminder or access stacks, I have to switch back to the old version, which is a terrible solution for an app that should work seamlessly. Yes.. I have gone through the same problems .. that is the reason i was trying to find a suitable alternative. I guess the staunch supporters of Evernote felt a bit offended. So i have refrained from posting about this topic here. What they failed to realize, we also like Evernote, otherwise would not have used it for over 8 years. I understand the new web version is a beta release without the full featureset. Is there a reason you want to use it instead of the old version? I just checked out in Elementary... If you like the new web version of Evernote, and do not like chrome or prefer something open source you can use the Chromium browser or for that matter any browser built on chromium ... Vivaldi and others. Just checked it's working. The New version of evernote is not working for Firefox Quantum..sadly. 1) I would never trust a data collection service from China. It is *the* industrial espionage capital of the world. Even worse, with its culture of corruption and using official position for personal enrichment, your data may be misused in many different ways. At least I don’t expect NSA agents to be stealing money from my bank account. 2) The problem with developing for Linux isn’t that the users of that OS are not paying for services, it’s that there’s very few of them compared to other OS. Plus, there is already web access. The number of paying Linux users may not be enough to offset the cost of porting the service to the new platform and maintaining yet another client, especially with the service already struggling somewhat. 1] As I have repeatedly mentioned in this thread..i don't trust any cloud service safe enough to store my bank account details. Servers can be hacked/personal detail may be used in probably any country. Secondly..I have mentioned servers being located in China is a point of concern. I wonder if maintaining a linux app is not financially viable for such a popular company as Evernote, how come others are doing it. 3] As i said before, i probably store less than 1% of my 32 GB data in Evernote servers, rest are in local notebooks. As you have mentioned of Springpad, u must know Springpad before being closed gave ample time to download your notes. Anyway anyone should keep back up while using any of these services. So are you going to audit every single note and bit of personal info you save on their servers? I’d rather avoid known problems, there’s plenty of possible ones already. There’s not that many “others”. Plenty of open source developers supporting an open source OS, but as far as commercial software and services, the access is rather patchy. And it really depends on the individual companies’ direction, access to resources, and culture. I am running a Mint desktop on an older machine I keep in the basement, just so that I could do some work there sometimes. So I am well aware of both the possibilities and limitations. Oh I know that well enough, I had about two thousand notes that had to be painstakingly transfered. I was not talking about losing your data, but about the PITA and effort required to move it to another system. In the end, it’s your decision and of course I respect it even if I am hesitant to go that route myself. @DTLow, Yes , seldom if i upload something in the cloud, i tend to use cryptomator. @Wanderling Reborn 1. no ..i don't need to Audit what info i save in the cloud, i am rest assured i don't put anything in the cloud that i don't want to. About banks, cards..i remember them.no need to use papers even. 3. Yes, to migrate all the notes from an application you probably once loved is a painful process. But honestly, what happened to Springpad can happen to any software or internet company... even the likes of Yahoo [ got hacked two times i think]..the Elephant [ aka Evernote ] may also fall some day. Anyways, it's a personal decision. And let's put rest to this topic..as i am not posting any further 'Evernote Alternatives' here. 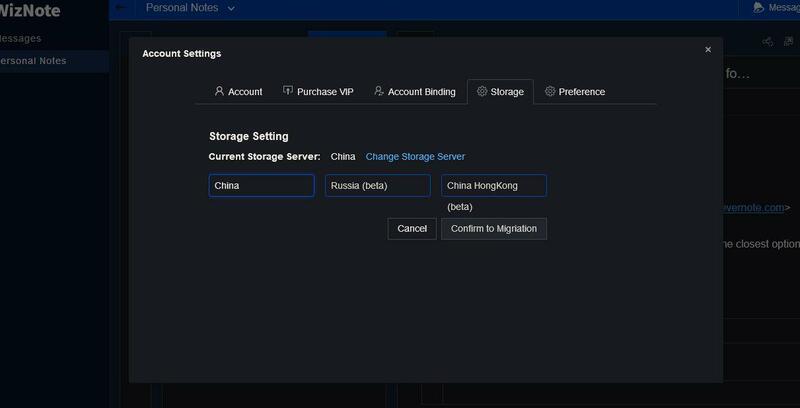 If I was using an app from a chinese company that sync'd to servers in China, I'd be extremely suspicious about what is being sync'd and what isn't. Anyway, you say you understand the risks and the value/privacy of your data so that is fine. The Linux conversation has been going on for years, there are lots of contributing factors, the size of the user base, the number of distros, the communities preference not to pay for software/services, etc. As a commercial organisation, I'm sure that Evernote (and lots of other mainstream commercial organisations) would jump at the opportunity for a new revenue stream. It does seem pretty clear given the unwillingness for the vast majority of software suppliers to provide a linux solution that this opportunity is not big enough to warrant the risk. If you select a minority OS, this is the risk you take. This discussion could go on and on without any fruitful result... Neither of us backing down. So let's stop this topic. By the way, i self-hosted Leanote In the process of migration from evernote to my servers. Goodluck and thanks..actually this discussion hastened the process of leaving evernote . Unfortunately, the Wiznote I've downloaded crashes within minutes of use. You are right, I will insist on the Linux desktop app also. 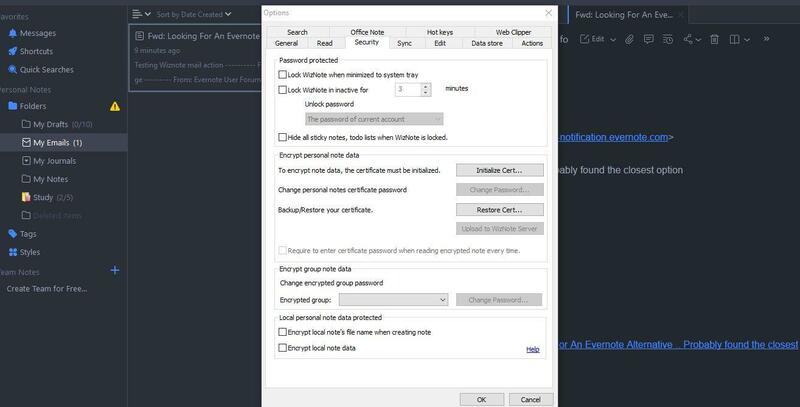 The relevance for a desktop app is specially the fact that you can work offline, and then sync when you have a connection. I work a lot on the go, and Evernote has everything I need to get it done, as pdfs, my plannings, etc. @DTLow, what I really want is to be able to work offline, and Evernote has practically everyting I need, from everywhere I gather, PDF libraries, plannings, ideas... That's the main reason. Regarding the web version differences, I like the new interface, closer to the desktop experience, and the fact it incorporates full tables options and templates. Wiznote is working fine here.. both in Elementary OS and Windows 10. I am currently using Leanote which i have self-hosted using Mongodb. U can check out this GitHub article .. both Linux and Windows tutorial is there. Thanks for your suggestion. I was not replying to your comment as i have said before, i will not add new alternatives to evernote to this thread. From now on whatever I need to post i will do at Reddit. Just tested Tusk ... didn't like it. For a simple reason.. It's not a proper desktop app. It is just the web version of Evernote encased with Electron framework. Have you tried creating local notebooks with Tusk? What additional features Tusk is offering can be done in any browser with add ons like Dark reader and others. At present I am using Open note [ Self-hosted ] and Wiznote. Looking closely at Standard notes and Notion development.